"The World’s Leading Entrepreneurs and Professionals Reveal Their Secrets for Achieving Mastery in Business and Life." Mastering a job means we are proficient at performing that particular task successfully. It is also useful to note here that the word “success” has different meanings to different people. Success can mean, among many other things: fame, financial, emotional or skillful achievement. "Always do the right thing, Michael!" My maternal grandmother taught me this one. And when you were growing up you may have heard the same from your loved ones, friends and mentors. Some of us may have let it go in one ear and out the other, so challenge yourself today by picking your favorite person who may have said that to you during your life and use them as your point of reference. For example, every action I take in business and in life I ask myself (consciously or subconsciously): “Would Gramma approve of this?” It’s an amazing filter that helps me make the right decisions quickly. If you’re a small business owner, you’ve built the culture of your business. Webster defines that ‘Culture’ as: The set of shared attitudes, values, goals, practices and beliefs that characterizes an institution or organization. And it’s your culture that breeds the environment in which your organization operates. 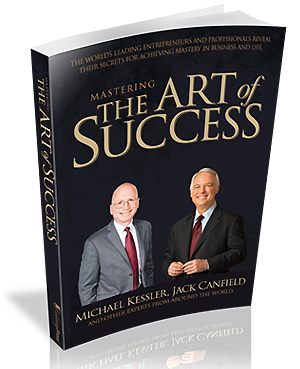 MICHAEL KESSLER AND TODAY’S LEADING ENTREPRENEURS AND PROFESSIONALS REVEAL THEIR BIG SECRETS TO ACHIEVING THE HEALTH, WEALTH & LIFESTYLE YOU DESIRE. In everything he does, Michael J. Kessler, CPA believes in challenging the status quo. He believes in thinking differently from traditional accounting. The way Mike challenges the status quo is by bringing his clients and their families into a world where their stress is reduced and their quality of life improves with an increased net after-tax cash flow far exceeding the investment they make in their relationship with him. Prior to founding his Profitability Consulting and CPA business in 2011, Mike spent over 25 years as a small business CEO in private industry. Mike’s businesses grew more than 400% in a transformation he likens to “hitting the business trifecta.” Starting as a family-owned group of businesses, the group became employee-owned and then was acquired four times in ten years by multi-billion dollar public companies. Mike’s education includes a unique blend of four financially-based accreditations: BS in Accounting, BS in Mathematics, Certified Public Accountant and Chartered Global Management Accountant. Mike is very active in his community supporting the Down Syndrome Association, The Independence Fund, the Leukemia & Lymphoma Society and has been honored as one of Long Island’s Champions for a Cure for his work in support of the Arthritis Foundation.